I planned to wake up early and run, but then I didn't. It's Murphy's Law that the day I plan to be up is the day I could actually sleep. Ugh! So I barely woke up before it was time to get ready for work and I had to fly out the door. 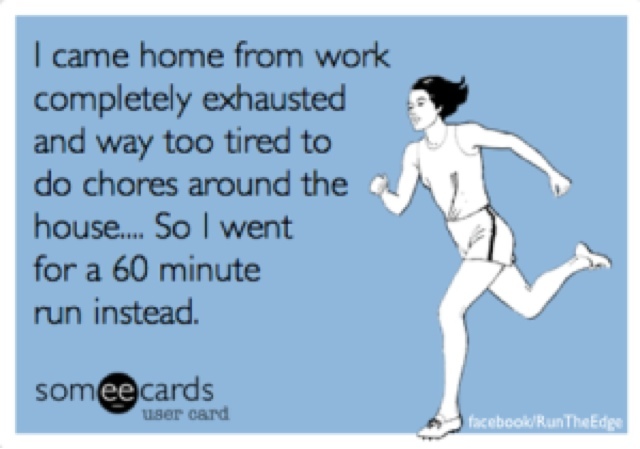 But I walked straight in from work and got on the treadmill. My newest running entertainment is anything on ID, like Murder in Paradise, Deadly Women, Nightmare Next Door. I love true crime, can't get enough! It keeps me occupied while I run. Today that was hardly enough to keep me going, I hurt. I think it was a combination of running late, being tired, and just not being in the mood. But it's done and I'm glad. 5 miles in just under 55 minutes. Now it's time for the last 4H meeting of the year. Everything is coming to a close and I am so ready for a bit of a break!